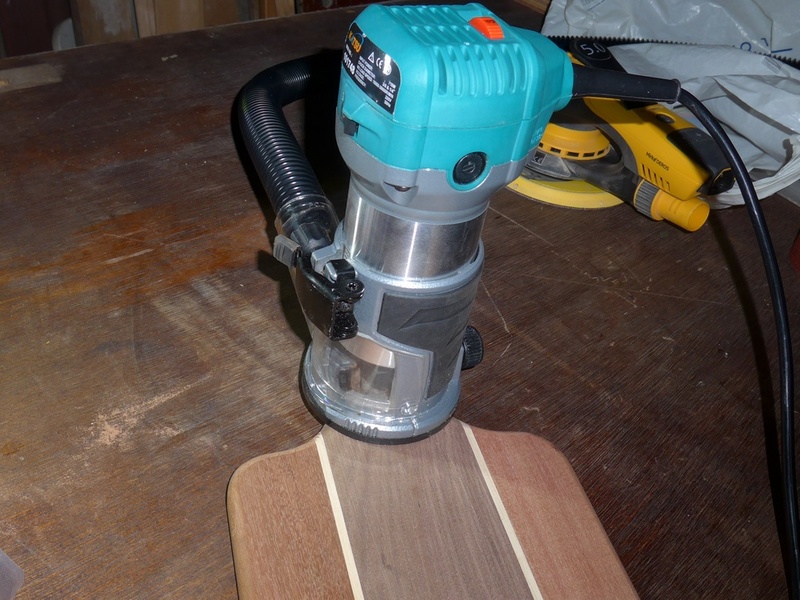 Previously, in Part I of this project, I mentioned that I needed an Oscillating Spindle Sander. Well I now have one and you’ll be able to read more about that machine in a separate post here. 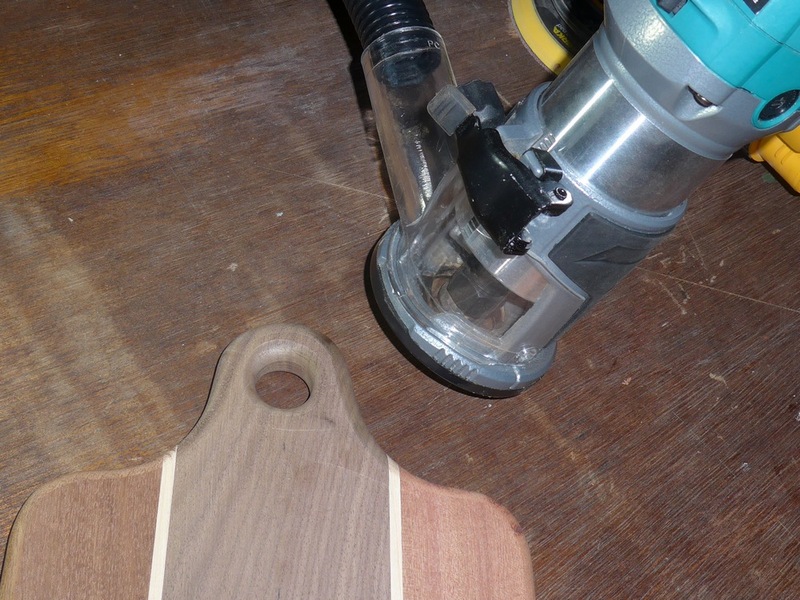 This new gadget enabled me to sand both inner and outer curves of the breadboard. 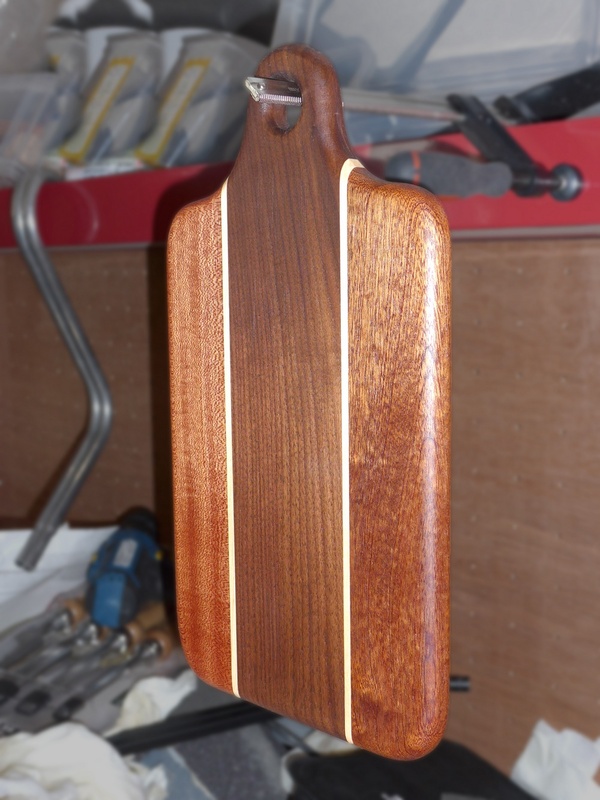 I used the 75mm spindle fitted with a 240 grit sleeve. 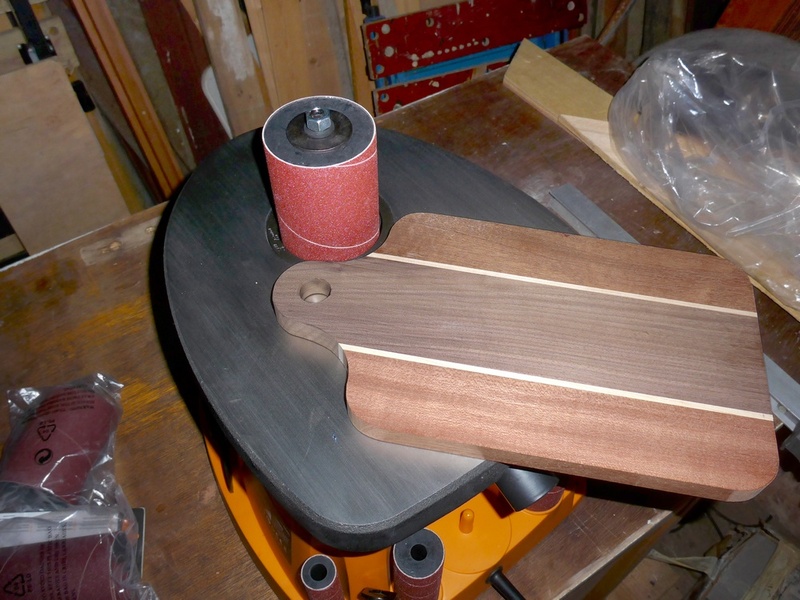 I could have installed the 13mm spindle and sanded inside the hole as well but that was already quite smooth. 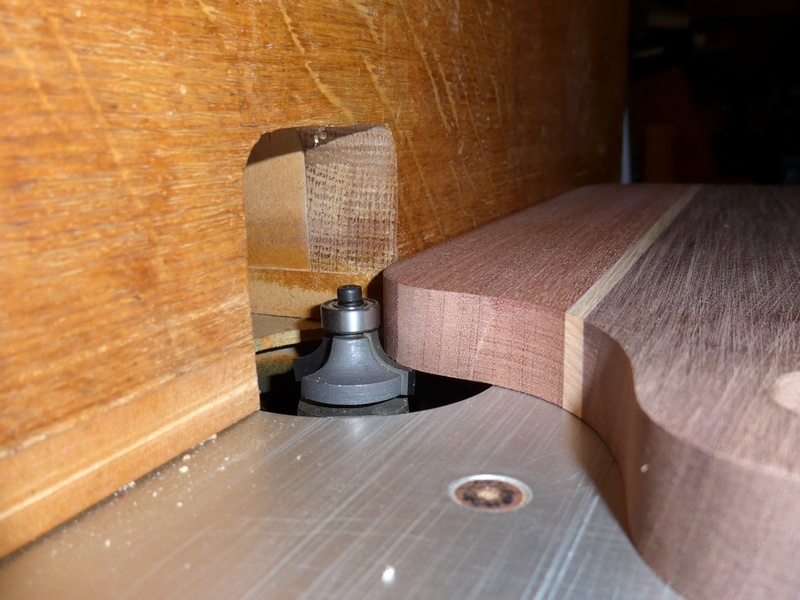 Then, using a ?” round-over bit in the handheld trimmer, I rounded-over the edges of the hole. 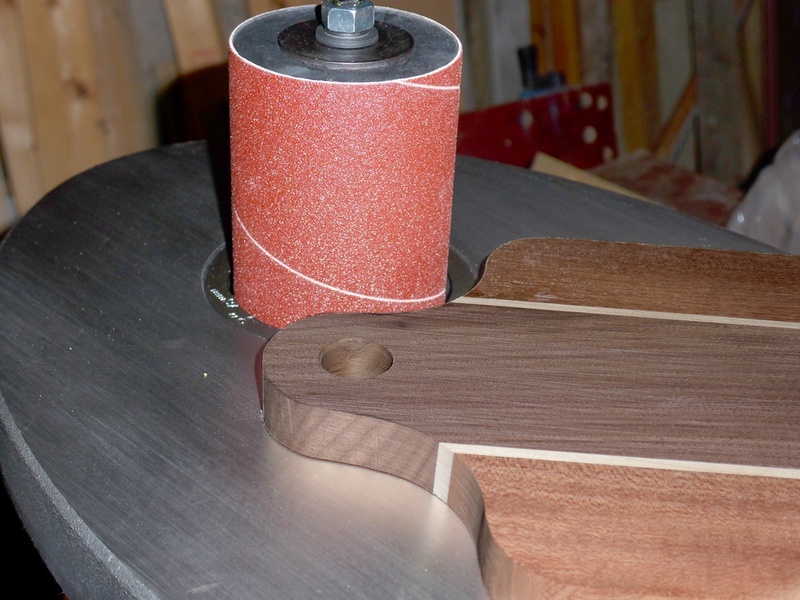 I used the random orbit sander to sand the faces and smooth-over the edges where the router had left a visible ‘edge’. 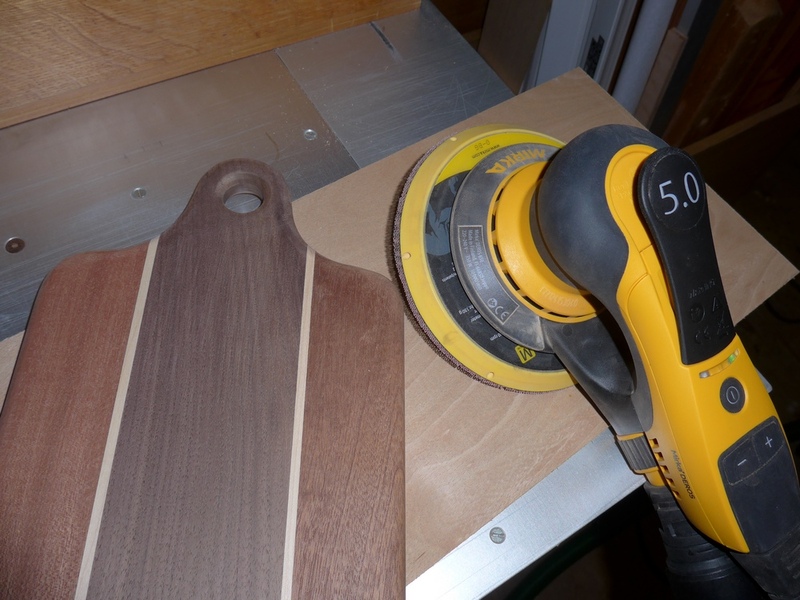 I also sanded away some burn marks left by the router. 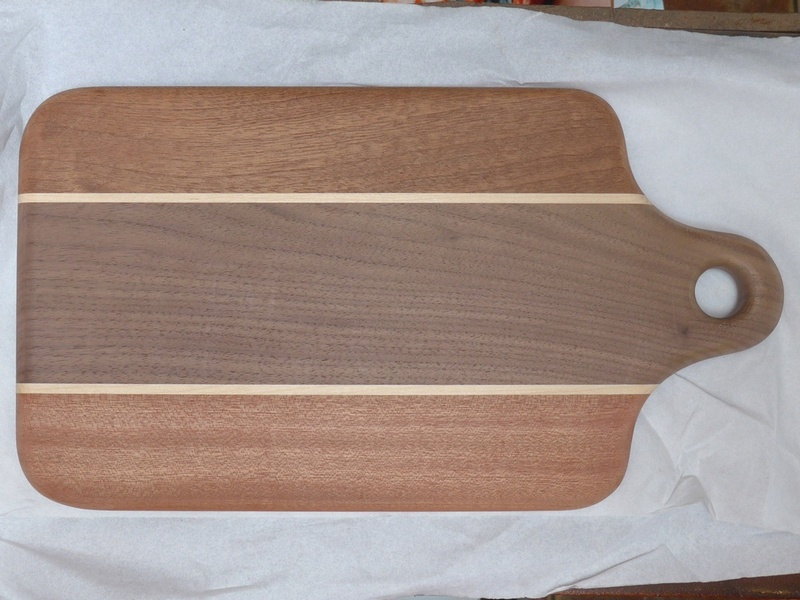 I am new to using a router table, and I was making a bread board last night. 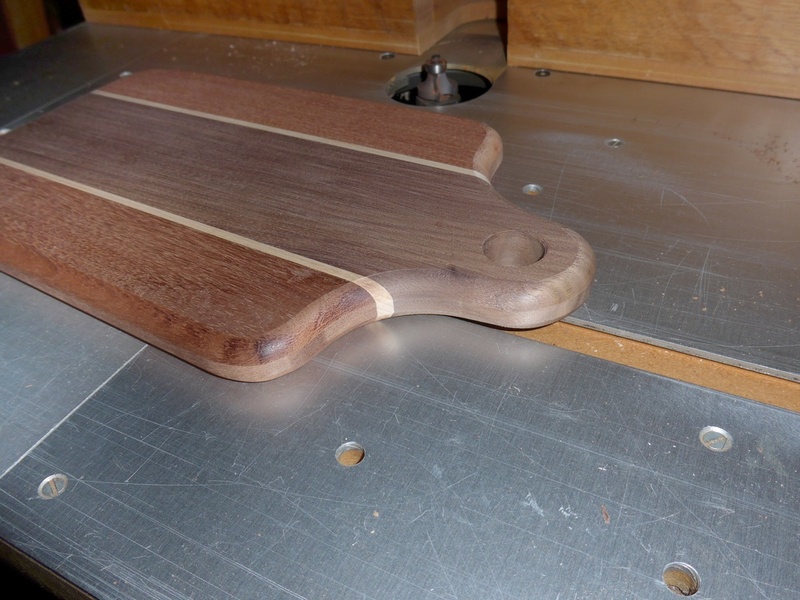 I had some trouble with the rounded corners and routing them. 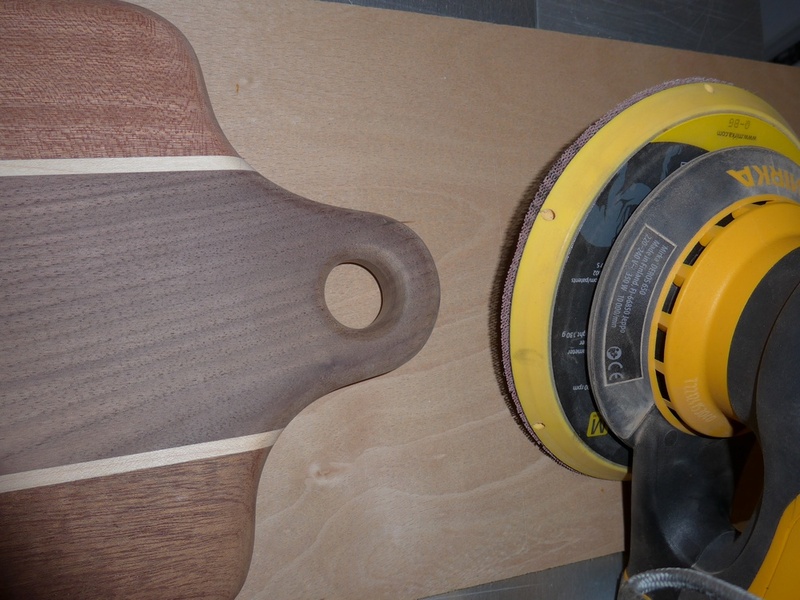 To round-over the straight portions I set the fence so the fence face is flat with the bearing on the router bit, but then when I tried to do the rounded corners it wasn’t too pretty and had to sand afterwards to make them nice. I see you’ve sailed along with the round-over bit along the curves and wondered how you did that, how was the fence set up, did you just go as deep as the bearing would allow etc? Hi Wayne, thanks for your comment. Looking back at my photos I can’t remember why I set the fence up like this. I may have done it just while I was taking the photo! Anyway, the truth is that if you are using a bearing-guided bit, then you don’t really need the fence. Just slide the piece towards the rotating bit (start in the middle of one of the long edges) and immediately start moving the piece towards your left. This is crucial. 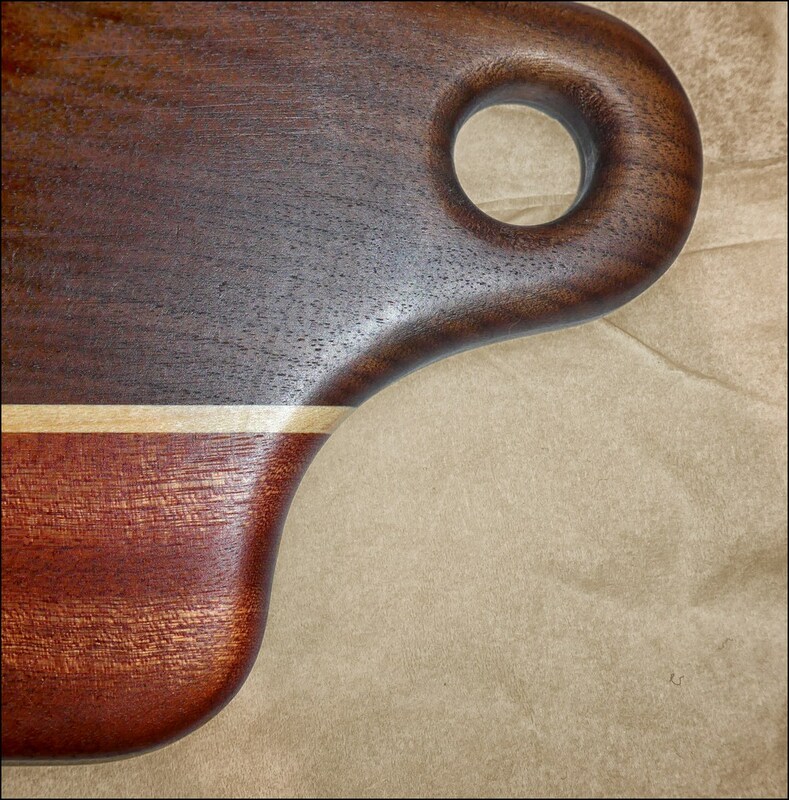 If you move the piece towards your right, the bit will have a tendency to ‘climb’ away from the piece and you will end up with a very irregular finish. 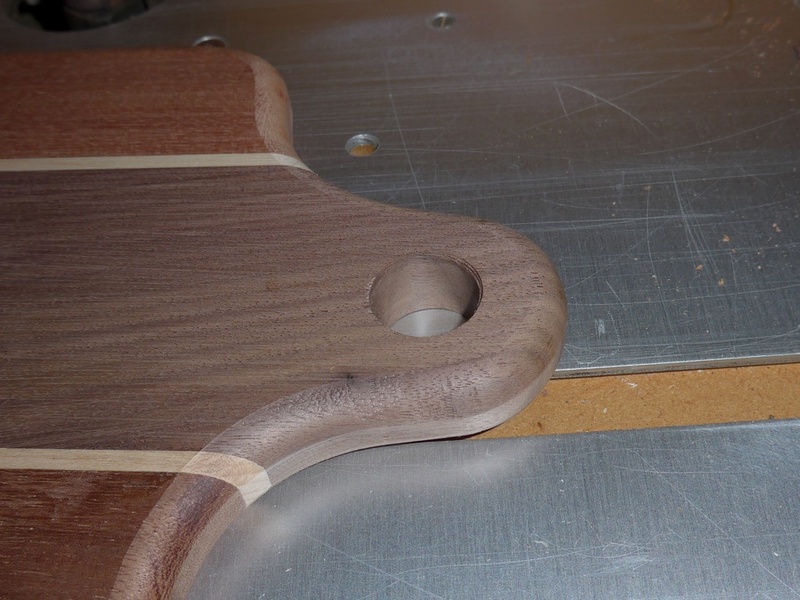 Keep the board moving as you approach the rounded corners and rotate the piece as you cut around the corner. 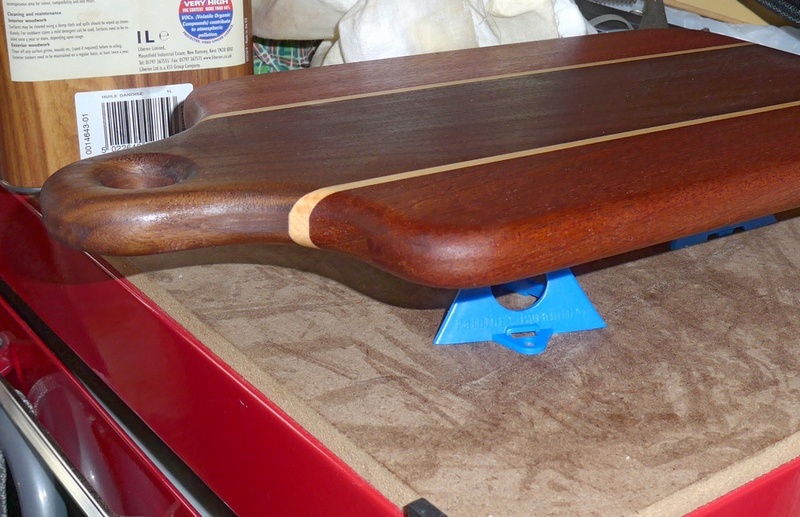 Sometimes, going over a piece a second time can remove burn marks and any other irregularities. 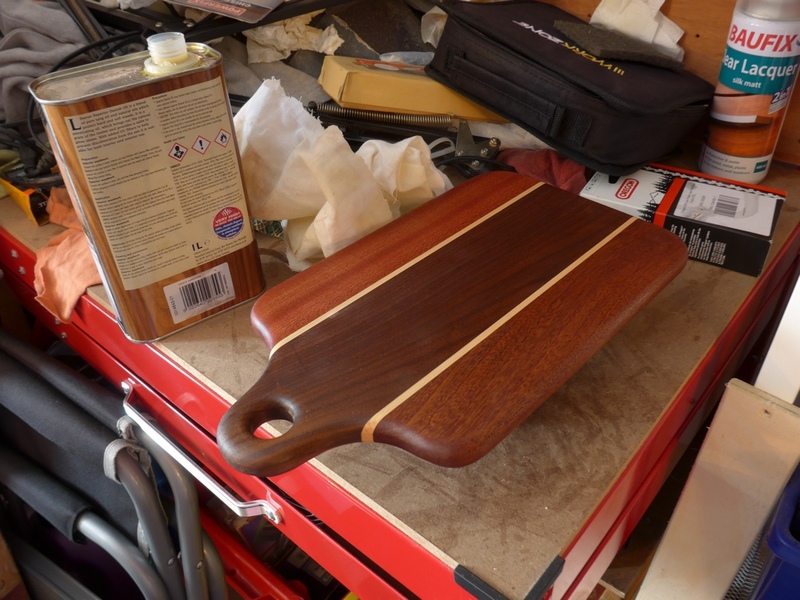 I would also add that if my board did not have radiused edges then I would probably use the fence – in which case, always start by routing an end-grain edge first (to prevent breakout on the last corner to be routed).